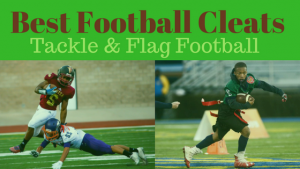 Find the best youth flag football leagues for kids, including pickup games and tournaments, in the state of New Jersey. Below, parents will find the most up-to-date for 2019 list of fall, winter, spring and summer, indoor and outdoor local flag football leagues for boys and girls, as well as pickup games and organizations that offer tournaments, in order from the highest to least populated cities and towns in NJ. 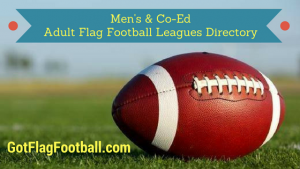 GotFlagFootball.com brings together the local youth flag football New Jersey community of city recreational leagues, organized independent leagues and tournaments in on alphabetically ordered list, so that it’s convenient to find a game for your child, in an area near you. Limited information is available on the Jersey City website, however the league is available for both boys and girls aged 7-14 years. They are split into two separate age divisions – 7-10 years old and 11-14 years. This league runs in the Fall, and the seasons consist of 8 games plus 3 weeks of elimination playoffs. 4 different age divisions are run, the youngest being for 5-7 year olds and the oldest for 12-14 year olds. 5-7 year olds play 5v5, while the rest play 6v6. Games consist of 2 25 minute halves. 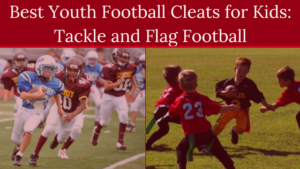 Youth Gridiron Academy offers kids flag football in the Fall, Spring and Summer seasons. YGA is a NFL FLAG affiliate, which includes NFL branded team jersey as well as flag belt. They’re also a proponent of NFL PLAY 60, which endorses youth health and fitness by encouraging boys and girls to get outside and play for at least 60 minutes a day. Youth Gridiron Academy leagues are offered in Egg Harbor TWP, Ocean City and Stone Harbor in New Jersey. Additionally, group and private coaching sessions to increase speed, agility and skill are available. This league is run for children aged 6-14, and leagues are separated into 3 age division by school grades. The season runs in the Fall, and games are played on Saturday mornings – the youngest age division starts at 8:30am and the rest follow. Practice sessions precede the games.